She'll be having his two-headed love child soon. Can you imagine having all these things said about you? What can that do to your self image? Poor girl. The Dark Knight wrote: Can you imagine having all these things said about you? What can that do to your self image? Poor girl. Being in the spotlight is brutal, but it can be worst when what's happening with Kristen happens. She's what's hot right now, and unfortunately this kinda stuff happens. Most of those mags aren't worth buying as it is, and there are only maybe two of them that I do pay attention to (People is one of them for sure, and it is of higher quality of those kinds of mags anyways.). This must be taking a blow to her esteem, but some times you've just got to take the higher road when things like this happens. Here is the link Amanda Beth was talking about. 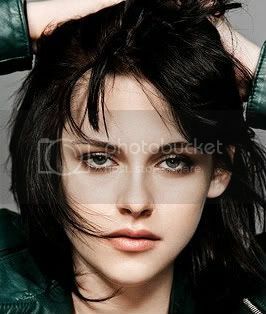 The latest on KStew was her remembering how nasty HS girls where to her when the found out she was an actress. Is this just petty jealousy or soemthing else at work? Sounds like typical jealousy. I've heard KStew mention in various interviews how she never really fit in with her classmates and that she had been bullied. That's why she wanted to be home schooled. She looks really pretty in the 'escape from school' filming because she's smiling & she has a great smile. I rarely see photos of her smiling and it makes her look younger and very pretty. She portrayed Bella as gloomy in the first movie (the gloom will fit more in NM) and hopefully in this one she'll be a bit more carefree. I know her life is nuts, but, dang it girl, smile! How gorgeous did KStew look last night? Love the dress and hair.